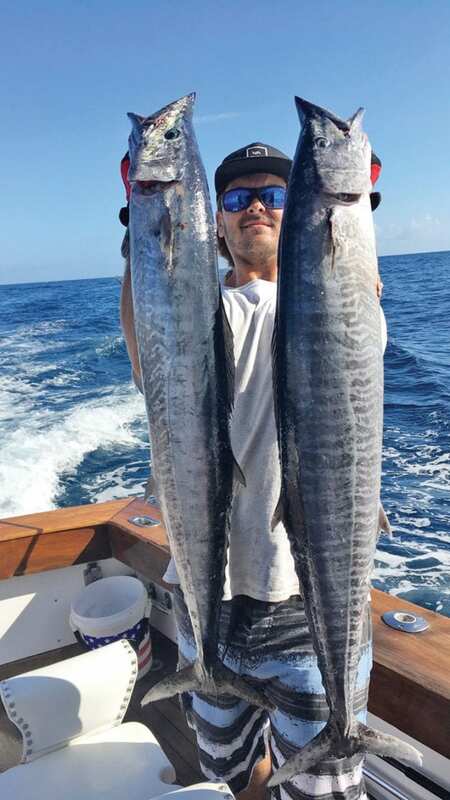 Wahoo fishing can be tricky, but it can also be a blast! 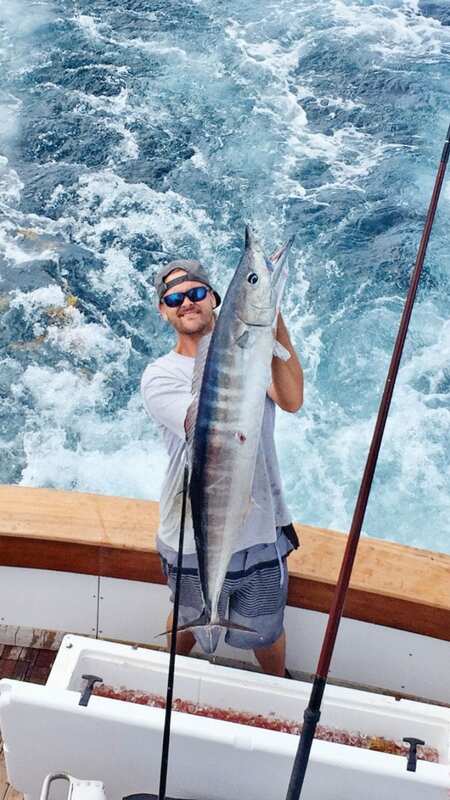 My name is Chris Fay and my favorite fish to target would definitely be the elusive wahoo. I work on a local charter boat, Poseidon Too, out of Deerfield Beach. We fish a lot and put in a lot of time and effort searching for a bite from the hardest hitting fish in the ocean. Fishing for wahoo requires patience, a little skill and lots of luck! By luck, I mean having everything come together. From the tides, moon and current, to the bait, and most importantly, your tackle. There are many things you can’t control offshore, such as losing a fish boat side or getting your fish eaten by shark, but one thing you do have control over is the tackle you’re fishing. Spend the time at home making sure your line is fresh, your knots or crimps are fresh and your hooks are super sharp. Lay out the baits and colors you want to fish and be prepared for battle. Sometimes these fish will only feed for a very short period of time and you don’t want to be spending your time re rigging while the bite is hot. 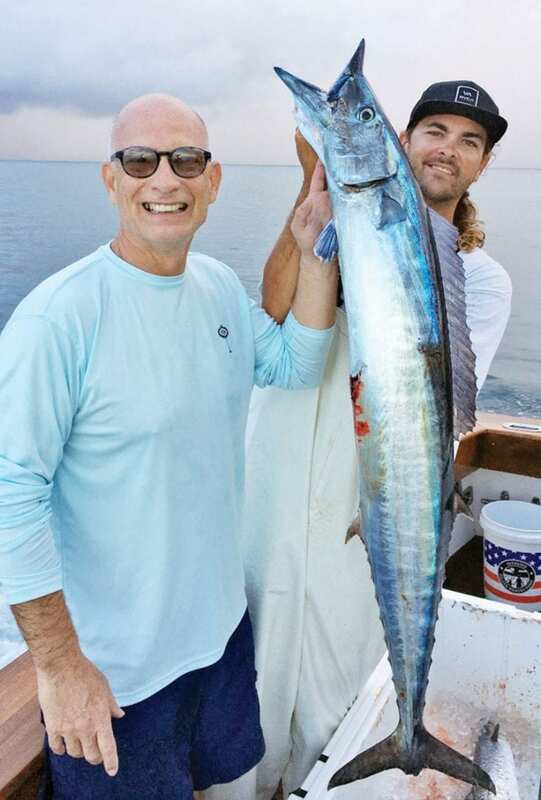 Some techniques for targeting wahoo here in South Florida are high speed trolling with leads, planer fishing and fishing live bullet bonitos or tunas. I would say my favorite way to target them would be using a number 6 and number 8 planer attached with 50 feet of 50 pound monofilament to 20 feet of 50 pound fluorocarbon to number 7 wire with double 7/0 Mustad hooks. You can pull bonita strips, split tail mullet, ballyhoo or spoons. All of those are great baits. I like to use sea witches or Iland lures to cover up my tackle along with a fresh bonita strip purchased from a local tackle shop. 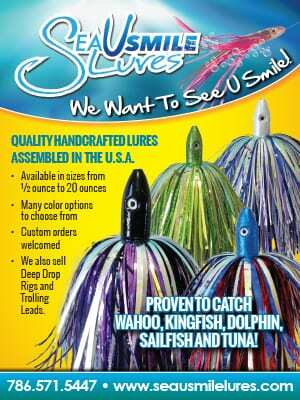 You can also buy pre rigged shock leaders on yoyos made for the planer or to use high speed trolling as well. Colors are very important to me, depending on the day, the clarity of the water and most importantly the type of baitfish in the water. I like to use dark colors, such as red and black or purple and black when the water is clean and the sky is clear. I will switch it up and fish a lot of pink and white, pink and blue or even all white, especially when the moon is full and the water is dirty. Have confidence in your baits, continue to check your baits and make sure they are fishing properly and tracking through the water the way you like them to. The inlets have a constant flow of water and that’s a great area to find feeding fish, especially during the first few hours of daylight. I find that the first few hours and the last few hours of the incoming or outgoing tides, particularly around the new and full moons are the best times to target wahoo. Pay attention to which way the current is going and the sea state of the ocean and that will determine how fast you can troll. Be sure to troll the wrecks. Hit every side of them. Don’t just pass a wreck once and keep moving. Wrecks hold all kinds of bait because of the structure, and as you all know, usually where there is bait there is fish! Wake up early and get out before the crowds as wahoo like to feed In low light conditions and will get finicky as the sun comes up. Most importantly have fun while you’re fishing. Put your time in and you will have success. Fish hard from 90 to 400 feet of water, with my favorite depth being roughly 120 to 300 feet. Pay attention to your fish finder and look for any temperature change, even if it is only a half of a degree. Keep your baits fresh, your tackle in order and get ready for the most exciting reel screaming action you’ve ever had!